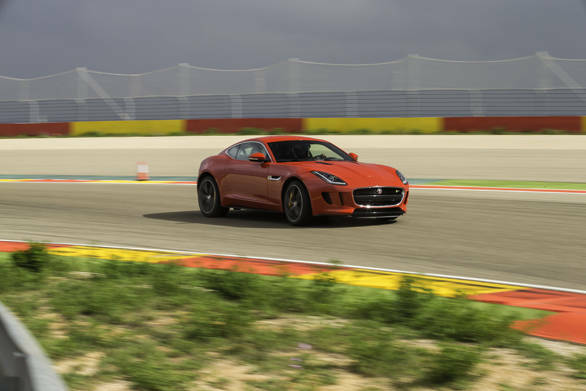 As my chartered jet touched down at the Lleida airstrip in the north of Spain I was greeted with the sight of a dozen Jaguar F-Type Coupes lined up on the runway through the window. At 7:00 in the morning the sight was the equivalent of a dozen cups of coffee all at once and I was instantly psyched up and rearing to get behind the wheel. 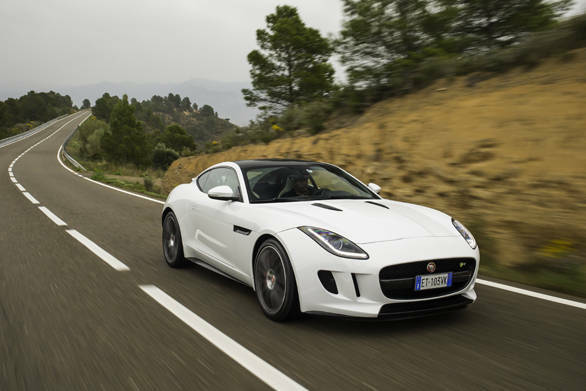 Yes, Jaguar is pulling out all the stops on this drive and that's certainly understandable, considering that the F-Type Coupe is pinned as a successor to the iconic E-Type from the 1960s. 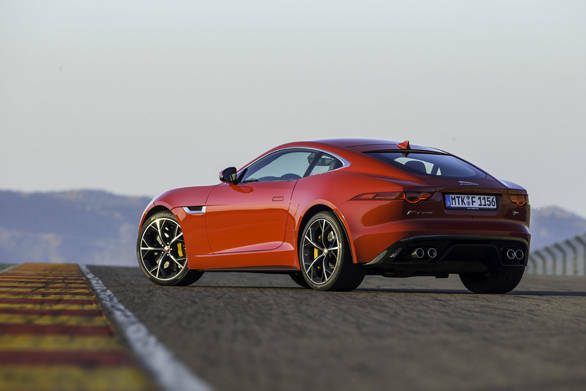 The Coupe follows the launch of the F-Type convertible from 2013 and promises more power, a stiffer chassis and equally drop dead gorgeous looks. As I stepped off the plane for a better look at that curvaceous rear end, long vented bonnet and the ready-to-pounce stance I almost broke into applause. I have to say, I really love the way the F-Type looks. The seductress lures you in with a come-hither glance while her curves hint at the performance hidden beneath those wide wheel arches. The twin central pipes of the V6 better emulate the E-Type when compared to the quad pipes in the V8, but as soon as you hear the fireworks emanating from them, you'll forgive this break in tradition. The aircraft cabin inspired interiors are the same all black design from the convertible with a dash of chrome here and there. The plastic paddle shifters have been swapped out for brushed aluminium ones though the gold coloured start and DSC buttons are the same. The cockpit inspiration continues with an optional panoramic glass roof and the miniscule boot from the convertible has grown to a much more usable 400 plus litre unit, perfect for a weekend in the hills. Over the said weekend, I got to experience both the super-charged V6 engine (that's the same as the one in the convertible S) and the over-the-top supercharged V8 from the F-type R that's been tuned to make even more power than in its convertible guise. Both supercharged engines offer great throttle feel with immediate response but a completely different character when on song. The V8 with all its crackles and bangs is also one of the best sounding cars on the market both on and off the throttle. On the roads up to the Motorland Aragon Circuit I first got to grips with the V6. It likes to be revved to its 6500rpm redline and the 380PS output means that you're not hanging the tail out exiting every corner unless you really want to. Max torque comes in higher at 3500rpm and is also extremely usable. In no time you're comfortable with the cat and utilising way more power and throttle than you legally should. The V8, on the other hand, is a totally different beast, it's even more responsive with bundles of torque (680Nm peaking earlier at 2500rpm) and at just the hint of over enthusiasm it will start to wiggle its ever so beautiful behind. It's the perfect example of how absolute power corrupts and despite knowing that the more usable power and my lack of cat like reflexes would probably make me faster in the V6, given the choice, I will still choose the excessive V8 every single time  it appeals to the masochist in us all and is super fun. It's not all down to the engine either. 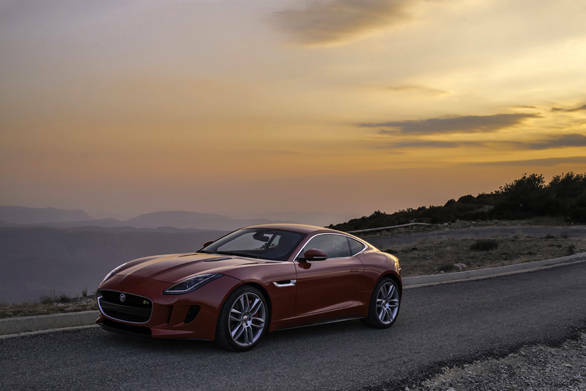 The F-Type Coupe takes the muscle car magic from the convertible and takes it up a few notches with the coupe. 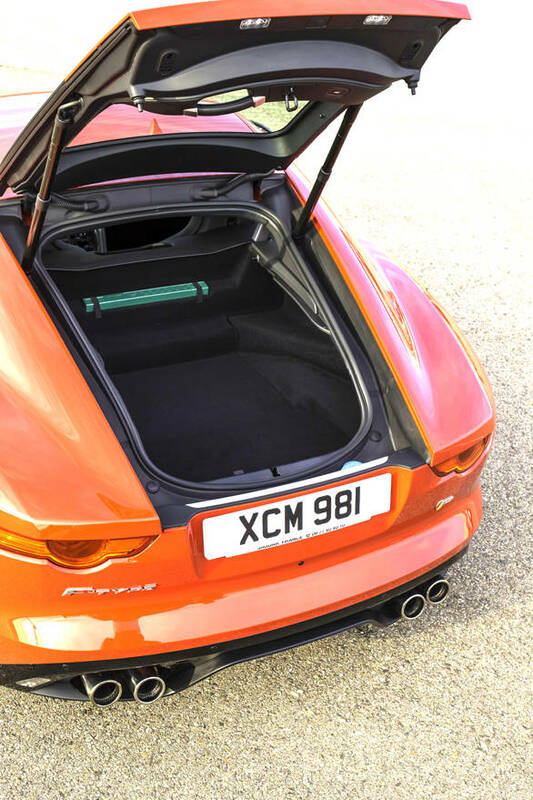 It's customary for a hard top to offer more chassis rigidity than a convertible but this coupe manages to be a phenomenal 80 per cent stiffer. 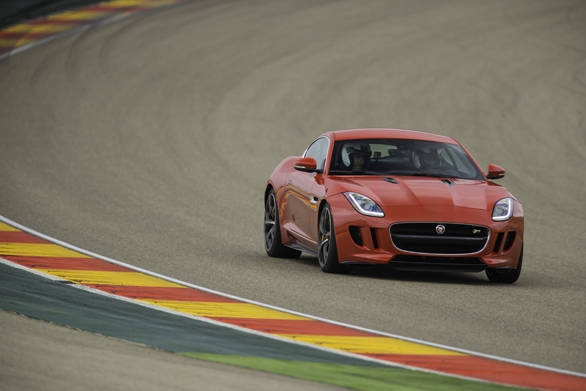 It's allowed Jaguar to up the stiffness in the springs without compromising on the ride quality too much. It's still a very stiff car and on the very poorly surfaced motorway you could feel the full brunt of this stiffness. But on a smooth road (something lacking in our country), like those that welcomed us on the way to the spectacular circuit and through the hills of Catalonia, the chassis is pure bliss. The hydraulic steering is precise and provides good feedback. The front end turns in well without wanting to push wide and there's a host of goodies under the hood to keep things neat and tidy. Like a clever mechanical differential that provides more precise handling when the pace increases and torque vectoring through braking that pulls the car into a corner rather than letting it understeer. The dynamic modes can also spruce things up when you're in the mood for some action, firming up steering, suspension and making the throttle response even more immediate. And who doesn't want things a little firmer and more responsive to your inputs right? Overall the F-Type Coupe is a brilliant package that's got the looks and the performance to win over some prospective 911 buyers. It may lack some of the precision and accuracy of the German but it more than makes up for this with character and with the difference in feel and driveability between the V6 and V8, it's almost two cars in one. Jaguar has put a tremendous amount of effort into the F-Type and is hoping it will bring back a lost dimension to the iconic British marque. 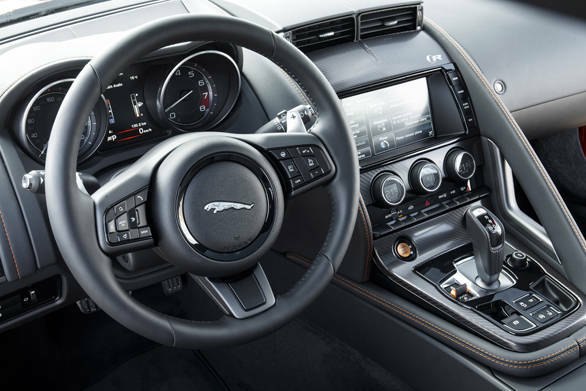 With the convertible sales figures, this hard work seems to have paid off and Jaguar says that at least 75 per cent of its sales so far have been to customers who are new to the brand. They hope that the coupe will bring even more new customers knocking on their doors and from my experience with the F-Type that's certainly plausible.